Fishing can be a source of immense pleasure and baitcasting reel has added a dimension to it. Baitcasting reel which is actually a fishing reel, allow for casting lures like jigs, spinner baits and crankbaits with absolute accuracy. 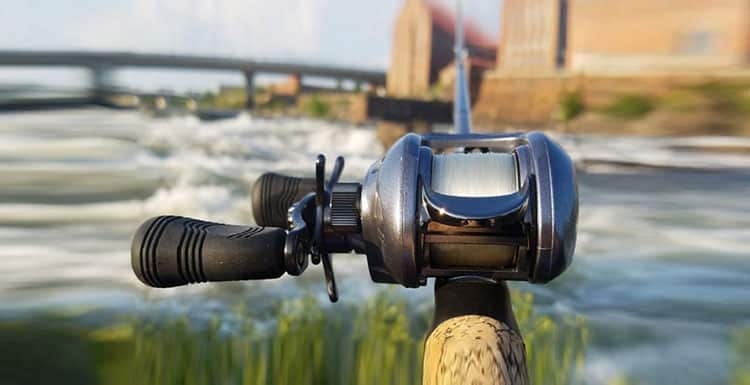 People are frequently switching to baitcasting reel from spinning reels for its faultlessness and other features like- fishing techniques with heavy line such as pitching and flipping, Carolina rigging and slow-rolling spinnerbaits. Speed of your lure retrieve depends on the gear ratio. Gear ratio is the number of times spool goes through when the handle is rotated. Gear ratio ranges from 5:1 to 7:1. The ratio is mentioned on the body most of the time. With a ratio of 5:1, spool turns five times. If you require faster retrieve, choose the higher range ratio. Your choice also depends on the type of lure you will use. Baitcasters have two types of body designs: Low and Round profile. Low ones are good for great control and comfort. While round is capable for large fish fishing as it is designed for fishing on heavier line. Brakes help you manage speed and enjoy ease. There are two types of brake systems: Magnetic and Centrifugal system. Magnetics are inexpensive and convenient for beginners. But, it creates an issue in adjustment. On the contrary, Centrifugal being a manual system allow you to adjust easily based on your preference. The most common two materials used for the construction of baitcasters are high-grade aluminum and graphite. Although both are good, graphite is comparatively lighter. You can choose either of them. The brand you are choosing is always a crucial factor in your fishing success. We have mentioned a few famous brands to save some of your time identifying them.